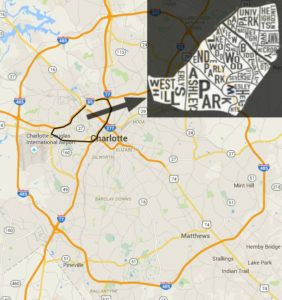 Our desire is to plant a Presbyterian (PCA) church in and for the urban west Charlotte community. We envision a church that is rooted in and reflective of our neighborhoods, dependent upon the ordinary means of grace for gospel-centered growth, and committed to leadership development and ministry multiplication. We want to be a church that celebrates the gospel, that emphasizes fellowship and service in the body of Christ, and that seeks every opportunity to serve as a gospel witness in the urban west Charlotte community, all in obedience to the Great Commandment and the Great Commission. Charles has a Master of Divinity from Reformed Theological Seminary and a degree from UNC-Greensboro. Eight years ago Charles sensed a strong call to plant and grow a PCA Church in an urban, African-American, under-resourced context. 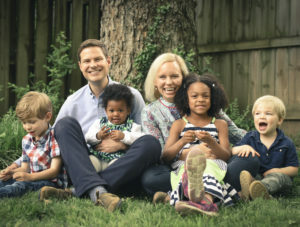 Before moving to our present target area Charles and Charlotte served for five years as domestic missionaries with Apartment Life, a ministry to diverse apartment communities in Charlotte. 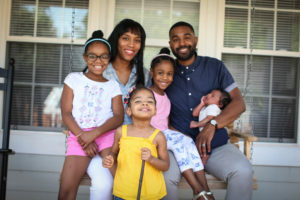 For the past six years Charles has served at Christ Central Church, a multi-ethnic PCA church, first as an Intern and now as an Assistant Pastor. Drew has a PhD in Religion from Vanderbilt University and degrees from Gordon-Conwell Theological Seminary and UNC-Chapel Hill. The Lord has given him a strong sense of call to plant a church in a transitional urban neighborhood, to minister across racial and economic lines, and especially to train pastors and elders for ministry in the church. He has served in youth, college, and pastoral ministry for 15 years and taught at Sewanee School of Theology and Vanderbilt Divinity School. Meg worked for 5 years as a public school counselor and more recently as the Nashville coordinator of Young Lives, a ministry to teen mothers. Our target area is urban west Charlotte. This area includes the portions of ZIP Codes 28216 and 28208, which are bounded by I-85 to the NW, I-77 to the NE, and US-74 to the S. In these neighborhoods 85% of residents identify as African-American, the median household income is $26,193 (approximately 50% of the Charlotte median), and 34% of residents live below the poverty line (nearly twice the city average). There are two universities (including Johnson C. Smith, an HBCU) and four seminaries nearby, making this area of Charlotte a unique and strategic location for leadership development. West Charlotte Church has an incredible opportunity to spread the gospel in this dynamic, yet underserved, community. Parish Ministry – A focus on the community in which we are located, thoughtfully directing outreach and resources to the people in our neighborhoods, with cultural humility and self-awareness. Ordinary Means of Grace Ministry – An emphasis on the importance of simple and reverent corporate worship, committed fellowship and pastoral care within the church body, and reliance on prayer in all things. Multiplication of Ministry – A plan to identify, recruit, disciple, and support potential future elders and pastors, focusing on African-American leadership and partnering with key area universities and seminaries. Please download our full church plant profile for more details and visit our giving page to learn more about how to support this work.